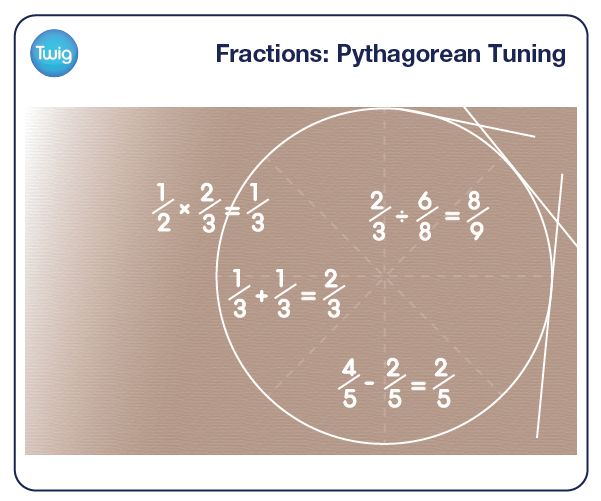 How fractions are used in music – and Pythagoras built a whole musical scale based on fractions! It might surprise you that musical melody relies on mathematical numbers and patterns. It was the Greek mathematician Pythagoras who first identified important associations between music and maths. Music is audible because of repeating sound waves, with each note having a corresponding frequency. He determined that each unique note was a fraction of a string. He built a whole scale on these musical fractions, and produced a tuning system that took on his name. Although the Greeks discovered this connection they didn't use numerical fractions as we do today. Modern fractions are simply numbers where the top 'The numerator' is divided by the bottom 'The denominator'. So ½ = 1 ÷ 2. Like whole numbers, fractions can be added, subtracted, divided and multiplied. In fact it is the relationship between fractions that makes sounds musical or not. One vibrating string produces a ground note. 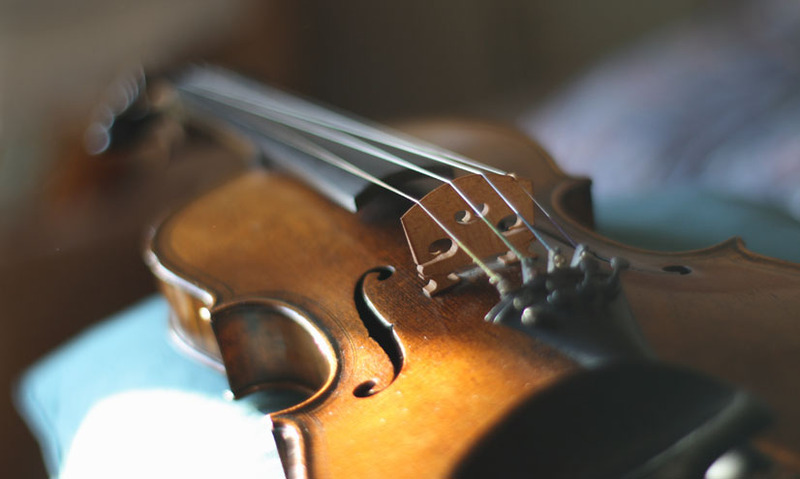 The notes that sound in harmony with it are produced by dividing the string into an exact amount of parts. Into exactly two parts, then three parts, exactly four equal parts, and so on. If this process is not followed if the fractions are not equal, the sound is unpleasant or discordant. Pythagoras had determined that the chords, which sound most melodic match precise divisions or exact fractions of the whole string. Today's music uses a more divided scale or octave than that used by the Greeks, but their simple contribution to our understanding of music, lives on.